Home » Casino » Will Donald Trump Be the X-Factor in the American Online Gambling Debate? 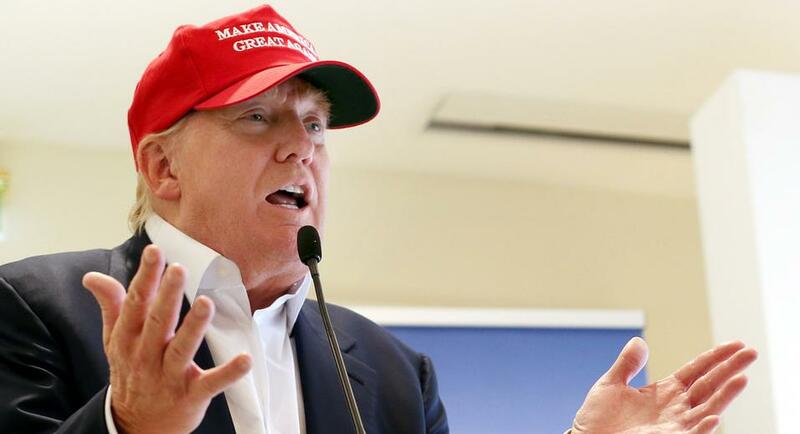 Will Donald Trump Be the X-Factor in the American Online Gambling Debate? Since Donald Trump has announced his candidacy and running for the presidential office, many experts believe that his mastery of the spotlight, despite using it for opportunistic or narcissistic reasons, he has the ability to make a big impact on many large issues looking over the White House and federal policies. His out-of-left-field foray into US politics means he will use the plethora of new opportunities he’ll have to make his voice heard. His reputation of not missing out on any of chance to make an impact in the media and be heard means some hot issues will get his deserving attention. The Republican Party is still trying to figure out how to incorporate this new personality and what his candidacy represents, but an upside may be that online gamblers might get some unintended benefits from him running. The positive aspects of Trump’s new found political hobby is that he will push for all kinds of change. Almost everyone knows that Trump has a snowflake’s chance in hell to be elected the next president of the United States, but his vociferous campaign will give him a very public and national platform to openly to speak his mind on the state of affairs. One thing that has already made his agenda and will come up for serious debate is online gambling. More spefically the possible changes that can be made to existing legislation. With his obvious ties and insiders connections with the casino industry and the online gambling sector in particular, Trump is likely to push for changes on his own without being lobbied. And let’s face it, he is a great figure head for online gambling. He is one of the few vocal supporters of legalizing online gambling in the GOP. In the current American economy, With so many states trying to keep their budgets from falling apart, the capital that can be generated by online gambling is no longer a source of revenue that they can afford to ignore. Trump’s motto is “go big or go home” so it’s expected that he will make very bold statements and shoot higher than any of his more conservative political counterparts. A bill legalizing online gambling nationwide would not be a big surprise coming from the tycoon. But there is a chance that things could backfire for online gamblers. You might not want to make him the poster-boy for the campaign to go national as Donald Trump is a known flamboyant personality in general and thus an explosive politician, and this will probably be his downfall. He made some recent comments in the media on opponents, and they were immediately dismissed as outright ridiculous and outrageous. The Republican Party does support some healthy competition to an extent, so candidates need to keep in mind that they are fighting the Democrats first and foremost, and that is where their assault needs to be targeted. If Trump keeps making odd or offending statements, there is a real danger that many of his great ideas or progressive suggestions made during his campaign will be ignored and written off, once the race is over. Lastly, Donald Trump openly opposes Sheldon Adelson, the massive gambling mogul who vehemently opposes online gambling. Sheldon has plenty of resources and is willing to invest as much as it might take to kill any gambling legislation that forms in its infancy. He is also the main supporter of several Republican candidates, including those who are being regarded as favorites to take on a Democrat in the race for the White House. So, either way there will be a battle on their hands as to if online gambling will get support or not. But as they say any publicity is good publicity. The next upcoming question to be answered will be, “Shall the online gambling discussion receive a boost as Donald Trump surges in the Republican primary?” As the race heats up, no matter who you vote for, it should be some interesting and exciting times ahead, politically for American online gamblers.